What is a Shopping Basket Stacker? 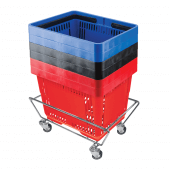 Our Shopping Basket Stacker lets you store spare shopping baskets in your shop or supermarket to keep them out of the way until your customers need them. 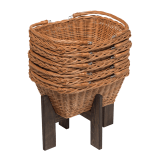 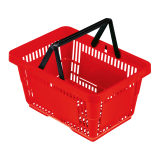 Ours fits most standard shopping baskets, such as our 22-litre plastic Shopping Basket. 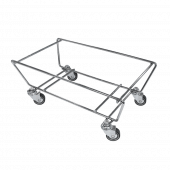 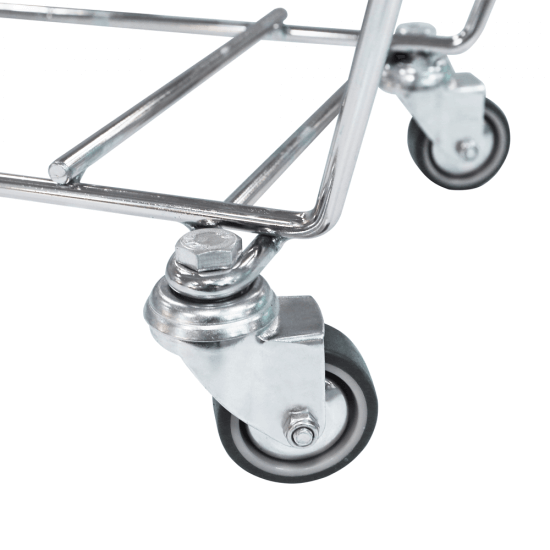 The Shopping Basket Stacker comes with built-in wheels and is made from strong chrome-plated steel for a smart durable finish.